Takeaway: These yoga poses give your body the energy it needs better than that cup of coffee you think you want. A few years ago, my schedule was always packed to the brim. I took on too much, never said “no,” and was constantly running between meetings, social activities and family obligations. I frequently craved a java boost or a nap—anything to give me a quick fix of energy to take me to the end of the day. I had no time in my schedule to recharge my batteries. This feeling is very relatable, but there are other alternatives to help renew the body. The ancient practice of yoga, although calming and relaxing in its essence, actually helps boost energy by awakening the chakras (the body’s energy systems). Although I’ve been practicing yoga for more than a decade, I devoted more time to my practice and did so more frequently in the mornings. I also focused on incorporating certain asanas, known for their energetic boosts, to help sustain my energy throughout the day. I started slowly, with just one asana every morning, and gradually added more. Here are three such asanas that helped me feel stronger, more sustained and more invigorated. Although vrksasana may be known as a balancing asana, it actually helped me prepare my body for other energy-enhancing poses. This is a perfect posture to do first thing in the morning with open eyes to help with balance as well as restore the flow of energy throughout the body. The first chakra, known by it's Sanskrit name of muladhara, focuses on energy stability throughout the body. Vrksasana helps stabilize this infrequently-used chakra by literally connecting to the earth and helping rid our bodies of stale or negative energy. Although I didn’t always have a loving relationship with setu bandha sarvangasana, it has become one of my most-practiced asanas each morning. 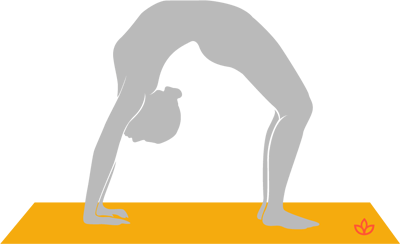 Because it’s a beginning backbend, it’s suitable for all yogis and can be done when not fully warmed up. It not only promotes greater energy by opening the heart, but encourages a more peaceful state of mind by urging us to look inward. Whenever I’m in this asana, I devote some time to set my intention for the day and calm my mind. Just a few deep breaths give me a gentle boost of energy by opening the chest and anahata (heart) chakra. I usually stay there for at least one minute before exhaling to the mat. Another benefit of this posture is that it allows me to scan my body—from head to toe—to see where strength is building and perhaps where more focus is needed. After all, yoga is an evolving practice! From setu bandha sarvangasana, I lift my hips and heart above my head to make a semi-circle shape with my body. Like setu bandha sarvangasana, urdhva dhanurasana requires full body engagement and mental focus. When I first began practicing yoga, I was unable to reach the posture’s full expression because I needed to work on my upper body strength. With more practice, I was able to reap its energetic properties. 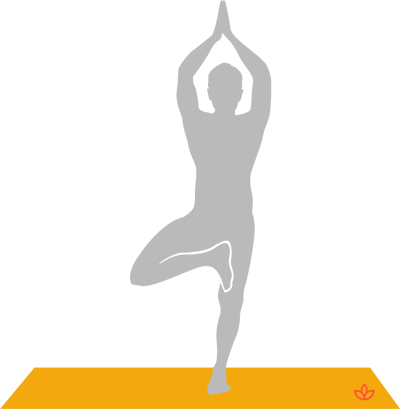 Now that I am able to reach the full expression, I can deepen the posture by lifting my heels away from the floor, pressing my tailbone to the ceiling and inching my hands closer to my feet. The next time you feel the fatigue coming on, consider turning to yoga instead of reaching for a coffee. If you can incorporate some of these energy-boosting asanas into your day, I’m sure you’ll notice a renewed sense of energy for the body and the mind, just as I did. Namaste.